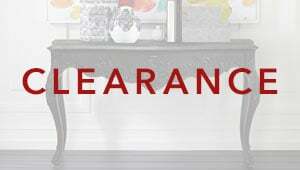 The only warranties and guarantees provided by Ethan Allen are expressly set forth in the Ethan Allen Limited Warranty in effect on the date of purchase. Ethan Allen disclaims all conditions, warranties, and guarantees that are not expressly set forth therein and any implied conditions, warranties, and/or guarantees, including, absent limitation, implies warranties of fitness for a particular use. 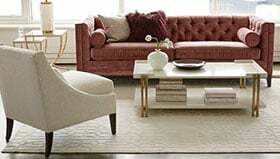 If your Ethan Allen product is received damaged or develops a manufacturing defect that is covered by the Ethan Allen Limited Warranty, contact the Ethan Allen Service Center that delivered your product or call our Internet Service Center at 1.888.EAHELP1 (1.888.324.3571). Our network of service professionals will assist you. We do not accept returns on mattresses or box springs, custom-made or custom-finished items, custom-cut fabrics, books, custom table pads, custom mirrors, or custom artwork. You must return the item along with a completed Return Authorization Form via UPS or to your local Design Center within 10 days of receiving the product. Repack the item securely in its original carton. Use the Return Shipping Label attached to the Return Authorization Form that you received with your shipment. If you are missing your Return Authorization Form, call our Internet Service Center at 1.888.EAHELP1 (1.888.324.3571). Keep the upper part of the Return Authorization Form for your records. We will not accept returns without a completed Return Authorization Form or items returned more than 10 days after receipt. Shipping charges are not refundable, and you are responsible for the return shipping charges. If you receive a damaged, defective, or incorrect item, warranty service will be provided at no charge (see Warranty Returns, above). Your item will be inspected upon return. A return handling charge of 10% of the purchase price will be deducted from the refund amount. A credit will be issued to the original credit card account or a gift card will be issued within 15 days after we receive the item at our Returns Distribution Center. Refunds generally appear on credit card statements in one to two billing periods. Contact our Internet Service Center at 1.888.EAHELP1 (1.888.324.3571) within three days of receiving your delivery. If authorized, a pickup will be scheduled. We cannot accept returns that are not authorized by our Internet Service Center within three days of your delivery. Premier In-Home Delivery shipping charges are not refundable, and you are responsible for the return shipping (pickup) charge. If you receive a damaged, defective, or incorrect item, warranty service will be provided at no charge (see Warranty Returns, above). A return handling charge of 15% of the purchase price will be deducted from the refund amount. A credit will be issued to the original credit card account or a gift card will be issued within 15 days after we receive the item at our Returns Distribution Center. Refunds generally appear on credit card statements in one to two billing periods.